Whether you're withstanding a disaster or enjoying a healthy snack, Lindon Farms Freeze Dried Pineapple provides a full days worth of Vitamin C! 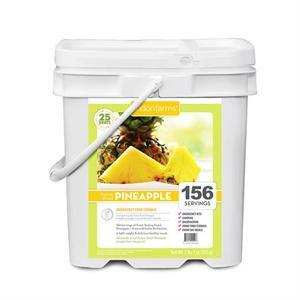 Stay healthy and ready with resealable Metalite pouches of pineapple! Your family can enjoy this nutritious and delicious fruit for up to 25 years!